The project ”Soluzioni Innovative per la Vulnerabilità E il Reinserimento sociale dei migranti” (SILVER), supported by the grant “FAMI - Fondo Asilo, Migrazione e Integrazione 2014-2020”, aimed at favoring the social integration of immigrants in the Sicilian territory. One of the outputs of the project is the realization of a study focused on emerging phenomena in the psychopathology of migrations and the modifications of the therapeutic setting and processes including native languages. On 1st January 2017, 4.2% of the population of the European Union member state were non-member country citizens [1Migration and migrant population statistics Available at: http://ec.europa.eu/ eurostat/ statistics- explained/ index.php? title=Migration _and_migrant _population _statistics]. The interest on the mental health of immigrants is high since some studies showed that they are at high risk of mental illness [2Abebe DS, Lien L, Hjelde KH. What we know and don’t know about mental health problems among immigrants in Norway. J Immigr Minor Health 2014; 16(1): 60-7. [http://dx.doi.org/10.1007/s10903-012-9745-9] [PMID: 23117694] , 3Bas-Sarmiento P, Saucedo-Moreno MJ, Fernández-Gutiérrez M, Poza-Méndez M. Mental health in immigrants versus native population: A systematic review of the literature. Arch Psychiatr Nurs 2017; 31(1): 111-21. [http://dx.doi.org/10.1016/j.apnu.2016.07.014] [PMID: 28104048] ], even if differences related to motivation to migration, legal status, and cultural issues should be taken into account [4Carta M, Bernal M, Hardoy MC, Haro-Abad JM. Migration and mental health in Europe (The state of the mental health in Europe working group: Appendix 1). Clin Pract Epidemiol Ment Health 2005. Aug; 31;1:13.]. The risk may be incremented by many other variables. For example, pre-migration traumatic events and post-migration stressful experiences are factors that deserve to be carefully considered [5Goodkind JR, Hess JM, Isakson B, et al. Reducing refugee mental health disparities: A community-based intervention to address postmigration stressors with African adults. Psychol Serv 2014; 11(3): 333-46. [http://dx.doi.org/10.1037/a0035081] [PMID: 24364594] , 3Bas-Sarmiento P, Saucedo-Moreno MJ, Fernández-Gutiérrez M, Poza-Méndez M. Mental health in immigrants versus native population: A systematic review of the literature. Arch Psychiatr Nurs 2017; 31(1): 111-21. [http://dx.doi.org/10.1016/j.apnu.2016.07.014] [PMID: 28104048] ]. This is particularly true for refugees, who experience a wide range of traumatic events before, during and after the migration journey and require a therapeutic approach focused on contextual factors and trauma-related symptomatology [6Lindert J, Carta MG, Schäfer I, Mollica RF. Refugees mental health-A public mental health challenge. Eur J Public Health 2016; 26(3): 374-5. [http://dx.doi.org/10.1093/eurpub/ckw010] [PMID: 27053728] ]. Moreover, the difficulty to reach the desired country and being reunified with surviving relatives has a negative impact on the success of clinical treatments among asylum seekers [7Carta MG, Moro MF, Preti A, et al. Human rights of asylum seekers with psychosocial disabilities in europe. Clin Pract Epidemiol Ment Health 2016; 12: 64-6. [http://dx.doi.org/10.2174/1745017901612010064] [PMID: 27843483] ]. Moreover, immigrants show lower rates of use of mental health care services than natives because of a different kind of barriers [8Sarría-Santamera A, Hijas-Gómez AI, Carmona R, Gimeno-Feliú LA. A systematic review of the use of health services by immigrants and native populations. Public Health Rev 2016; 37: 28. [http://dx.doi.org/10.1186/s40985-016-0042-3] [PMID: 29450069] ]. These factors, combined, suggest that there are several new challenges in providing mental health care and there is still much to be done to correctly respond to immigrants necessities, especially in public health care. Thus, the present study aims to review the most recent findings on psychopathology among immigrants in Europe and the related risk and protective factors. Furthermore, an analysis of the most recent guidelines for mental health care for immigrants is provided, in which it is paid attention to the difficulties due to language barriers and how to deal with them. We conducted a search of literature through the database Science Direct using the terms “psychopathology” and “mental health” combined with “immigrants” and “immigration”. We selected scientific articles published in international journals between January 2017 and June 2018 and focused on data gathered in European countries. We were interested in articles focused on the psychopathology of adult immigrants and the related risk and protective factors. We found a total of 15 articles (Table 1). Two of these studies were realized in Denmark [9Schofield P, Thygesen M, Das-Munshi J, et al. Ethnic density, urbanicity and psychosis risk for migrant groups - A population cohort study. Schizophr Res 2017; 190: 82-7. [http://dx.doi.org/10.1016/j.schres.2017.03.032] [PMID: 28318842] , 10Schofield P, Thygesen M, Das-Munshi J, et al. Neighbourhood ethnic density and psychosis - Is there a difference according to generation? Schizophr Res 2018; 195: 501-5. [http://dx.doi.org/10.1016/j.schres.2017.09.029] [PMID: 28969931] ], 1 in Finland [11Markkula N, Lehti V, Gissler M, Suvisaari J. Incidence and prevalence of mental disorders among immigrants and native Finns: A register-based study. Soc Psychiatry Psychiatr Epidemiol 2017; 52(12): 1523-40. [http://dx.doi.org/10.1007/s00127-017-1432-7] [PMID: 28856385] ], 1 in France [12Pannetier J, Lert F, Jauffret Roustide M, du Loû AD. Mental health of sub-saharan african migrants: The gendered role of migration paths and transnational ties. SSM Popul Health 2017; 3: 549-57. [http://dx.doi.org/10.1016/j.ssmph.2017.06.003] [PMID: 29349245] ], 4 in Germany and Netherland [13Morawa E, Dragano N, Jöckel KH, Moebus S, Brand T, Erim Y. Somatization among persons with Turkish origin: Results of the pretest of the German National Cohort Study. J Psychosom Res 2017; 96: 1-9. [http://dx.doi.org/10.1016/j.jpsychores.2017.02.014] [PMID: 28545785] -16Bulla J, Rzodeczko F, Querengässer J, Hoffmann K, Ross T. Migrants in unlimited detention according to section 63 of the German penal code: Results from the German federal state of Baden-Württemberg. Int J Law Psychiatry 2018; 57: 1-8. [http://dx.doi.org/10.1016/j.ijlp.2017.12.003] [PMID: 29548495] ], 1in Luxembourg [17Ruiz-Castell M, Kandala NB, Perquin M, et al. Depression burden in luxembourg: Individual risk factors, geographic variations and the role of migration, 2013-2015 European Health Examination Survey. J Affect Disord 2017; 222: 41-8. [http://dx.doi.org/10.1016/j.jad.2017.06.056] [PMID: 28668715] ], 2 in Norway [18Puzo Q, Mehlum L, Qin P. Suicide among immigrant population in Norway: A national register-based study. Acta Psychiatr Scand 2017; 135(6): 584-92. [http://dx.doi.org/10.1111/acps.12732] [PMID: 28387419] , 19Puzo Q, Mehlum L, Qin P. Socio-economic status and risk for suicide by immigration background in Norway: A register-based national study. J Psychiatr Res 2018; 100: 99-106. [http://dx.doi.org/10.1016/j.jpsychires.2018.02.019] [PMID: 29501935] ], 3 in Switzerland [20Steel JL, Dunlavy AC, Harding CE, Theorell T. The psychological consequences of pre-emigration trauma and post-migration stress in refugees and immigrants from Africa. J Immigr Minor Health 2017; 19(3): 523-32. [http://dx.doi.org/10.1007/s10903-016-0478-z] [PMID: 27562386] -22Le L, Morina N, Schnyder U, Schick M, Bryant RA, Nickerson A. The effects of perceived torture controllability on symptom severity of posttraumatic stress, depression and anger in refugees and asylum seekers: A path analysis. Psychiatry Res 2018; 264: 143-50. [http://dx.doi.org/10.1016/j.psychres.2018.03.055] [PMID: 29631246] ], and 1 was based on data gathered in 17 European countries [23Malmusi D, Palència L, Ikram UZ, Kunst AE, Borrell C. Inequalities by immigrant status in depressive symptoms in Europe: The role of integration policy regimes. Soc Psychiatry Psychiatr Epidemiol 2017; 52(4): 391-8. [PMID: 28194503] ]. They focused on psychosis [10Schofield P, Thygesen M, Das-Munshi J, et al. Neighbourhood ethnic density and psychosis - Is there a difference according to generation? Schizophr Res 2018; 195: 501-5. [http://dx.doi.org/10.1016/j.schres.2017.09.029] [PMID: 28969931] , 11Markkula N, Lehti V, Gissler M, Suvisaari J. Incidence and prevalence of mental disorders among immigrants and native Finns: A register-based study. Soc Psychiatry Psychiatr Epidemiol 2017; 52(12): 1523-40. [http://dx.doi.org/10.1007/s00127-017-1432-7] [PMID: 28856385] , 15Stouten LH, Veling W, Laan W, Van der Gaag M. Psychopathology, cognition and outcome in Dutch and immigrant first-episode psychosis patients. Early Interv Psychiatry 2018. [http://dx.doi.org/10.1111/eip.12561] [PMID: 29603625] , 16Bulla J, Rzodeczko F, Querengässer J, Hoffmann K, Ross T. Migrants in unlimited detention according to section 63 of the German penal code: Results from the German federal state of Baden-Württemberg. Int J Law Psychiatry 2018; 57: 1-8. [http://dx.doi.org/10.1016/j.ijlp.2017.12.003] [PMID: 29548495] ], depression, anxiety and Post Traumatic Stress Disorder (PTSD) [12Pannetier J, Lert F, Jauffret Roustide M, du Loû AD. Mental health of sub-saharan african migrants: The gendered role of migration paths and transnational ties. SSM Popul Health 2017; 3: 549-57. [http://dx.doi.org/10.1016/j.ssmph.2017.06.003] [PMID: 29349245] , 17Ruiz-Castell M, Kandala NB, Perquin M, et al. Depression burden in luxembourg: Individual risk factors, geographic variations and the role of migration, 2013-2015 European Health Examination Survey. J Affect Disord 2017; 222: 41-8. [http://dx.doi.org/10.1016/j.jad.2017.06.056] [PMID: 28668715] , 20Steel JL, Dunlavy AC, Harding CE, Theorell T. The psychological consequences of pre-emigration trauma and post-migration stress in refugees and immigrants from Africa. J Immigr Minor Health 2017; 19(3): 523-32. [http://dx.doi.org/10.1007/s10903-016-0478-z] [PMID: 27562386] -23Malmusi D, Palència L, Ikram UZ, Kunst AE, Borrell C. Inequalities by immigrant status in depressive symptoms in Europe: The role of integration policy regimes. Soc Psychiatry Psychiatr Epidemiol 2017; 52(4): 391-8. [PMID: 28194503] ], somatization [13Morawa E, Dragano N, Jöckel KH, Moebus S, Brand T, Erim Y. Somatization among persons with Turkish origin: Results of the pretest of the German National Cohort Study. J Psychosom Res 2017; 96: 1-9. [http://dx.doi.org/10.1016/j.jpsychores.2017.02.014] [PMID: 28545785] , 14Dreher A, Hahn E, Diefenbacher A, et al. Cultural differences in symptom representation for depression and somatization measured by the PHQ between Vietnamese and German psychiatric outpatients. J Psychosom Res 2017; 102: 71-7. [http://dx.doi.org/10.1016/j.jpsychores.2017.09.010] [PMID: 28992900] ], and suicide rates [18Puzo Q, Mehlum L, Qin P. Suicide among immigrant population in Norway: A national register-based study. Acta Psychiatr Scand 2017; 135(6): 584-92. [http://dx.doi.org/10.1111/acps.12732] [PMID: 28387419] , 19Puzo Q, Mehlum L, Qin P. Socio-economic status and risk for suicide by immigration background in Norway: A register-based national study. J Psychiatr Res 2018; 100: 99-106. [http://dx.doi.org/10.1016/j.jpsychires.2018.02.019] [PMID: 29501935] ] and risk factors. The study realized in Finland [11Markkula N, Lehti V, Gissler M, Suvisaari J. Incidence and prevalence of mental disorders among immigrants and native Finns: A register-based study. Soc Psychiatry Psychiatr Epidemiol 2017; 52(12): 1523-40. [http://dx.doi.org/10.1007/s00127-017-1432-7] [PMID: 28856385] ] take into account all the psychiatric diagnoses coded by the International Classification of Diseases 10th edition (ICD-10) [24The ICD-10 classification of mental and behavioral disorders Clinical descriptions and diagnostic guidelines 1992.]. Results show that immigrants report a lower incidence of mental disorders compared to natives, a counter-tendency result compared to other studies [2Abebe DS, Lien L, Hjelde KH. What we know and don’t know about mental health problems among immigrants in Norway. J Immigr Minor Health 2014; 16(1): 60-7. [http://dx.doi.org/10.1007/s10903-012-9745-9] [PMID: 23117694] , 9Schofield P, Thygesen M, Das-Munshi J, et al. Ethnic density, urbanicity and psychosis risk for migrant groups - A population cohort study. Schizophr Res 2017; 190: 82-7. [http://dx.doi.org/10.1016/j.schres.2017.03.032] [PMID: 28318842] , 10Schofield P, Thygesen M, Das-Munshi J, et al. Neighbourhood ethnic density and psychosis - Is there a difference according to generation? Schizophr Res 2018; 195: 501-5. [http://dx.doi.org/10.1016/j.schres.2017.09.029] [PMID: 28969931] , 17Ruiz-Castell M, Kandala NB, Perquin M, et al. Depression burden in luxembourg: Individual risk factors, geographic variations and the role of migration, 2013-2015 European Health Examination Survey. J Affect Disord 2017; 222: 41-8. [http://dx.doi.org/10.1016/j.jad.2017.06.056] [PMID: 28668715] ]. Authors suggest the this is due to country policy and methodological factors. Finland has strict laws for immigration and they apply a tolerant and multi-cultural policy to those who enter the country. On the other hand, the design of the study does not let to collect information about the mental health of immigrants who do not access public health services. List of the reviewed studies. First and second generation immigrants show high risk to report psychotic disorders and this risk appears to be related to socio-contextual factors in hosting countries [40Bourque F, van der Ven E, Malla A. A meta-analysis of the risk for psychotic disorders among first- and second-generation immigrants. Psychol Med 2011; 41(5): 897-910. [http://dx.doi.org/10.1017/S0033291710001406] [PMID: 20663257] ]. Two of the most recent research in Europe take into account the ethnic density effect and urbanicity effect on psychosis rates among immigrants [9Schofield P, Thygesen M, Das-Munshi J, et al. Ethnic density, urbanicity and psychosis risk for migrant groups - A population cohort study. Schizophr Res 2017; 190: 82-7. [http://dx.doi.org/10.1016/j.schres.2017.03.032] [PMID: 28318842] , 10Schofield P, Thygesen M, Das-Munshi J, et al. Neighbourhood ethnic density and psychosis - Is there a difference according to generation? Schizophr Res 2018; 195: 501-5. [http://dx.doi.org/10.1016/j.schres.2017.09.029] [PMID: 28969931] ]. The ethnic density effect is the association between the proportion of people of the same ethnicity in a community and the incidence of psychosis. High ethnic density can be a protective factor because of perceived social support, while low ethnic density is related to a higher incidence of psychotic disorders [41Boydell J, van Os J, McKenzie K, et al. Incidence of schizophrenia in ethnic minorities in London: Ecological study into interactions with environment. BMJ 2001; 323(7325): 1336-8. [http://dx.doi.org/10.1136/bmj.323.7325.1336] [PMID: 11739218] , 42Schofield P, Ashworth M, Jones R. Ethnic isolation and psychosis: Re-examining the ethnic density effect. Psychol Med 2011; 41(6): 1263-9. [http://dx.doi.org/10.1017/S0033291710001649] [PMID: 20860862] ]. Differently, urbanicity is a risk factor for psychosis [43Vassos E, Pedersen CB, Murray RM, Collier DA, Lewis CM. Meta-analysis of the association of urbanicity with schizophrenia. Schizophr Bull 2012; 38(6): 1118-23. [http://dx.doi.org/10.1093/schbul/sbs096] [PMID: 23015685] ]. First of all, rates of psychosis results to be differently distributed among subgroups [10Schofield P, Thygesen M, Das-Munshi J, et al. Neighbourhood ethnic density and psychosis - Is there a difference according to generation? Schizophr Res 2018; 195: 501-5. [http://dx.doi.org/10.1016/j.schres.2017.09.029] [PMID: 28969931] , 11Markkula N, Lehti V, Gissler M, Suvisaari J. Incidence and prevalence of mental disorders among immigrants and native Finns: A register-based study. Soc Psychiatry Psychiatr Epidemiol 2017; 52(12): 1523-40. [http://dx.doi.org/10.1007/s00127-017-1432-7] [PMID: 28856385] ]. Specifically, immigrants coming from Africa showed higher rates of psychosis compared to other subgroups [10Schofield P, Thygesen M, Das-Munshi J, et al. Neighbourhood ethnic density and psychosis - Is there a difference according to generation? Schizophr Res 2018; 195: 501-5. [http://dx.doi.org/10.1016/j.schres.2017.09.029] [PMID: 28969931] ]. On the other hand, first-generation immigrants showed higher psychosis incidence compared to second-generation immigrants [9Schofield P, Thygesen M, Das-Munshi J, et al. Ethnic density, urbanicity and psychosis risk for migrant groups - A population cohort study. Schizophr Res 2017; 190: 82-7. [http://dx.doi.org/10.1016/j.schres.2017.03.032] [PMID: 28318842] ]. In both cases, immigrants resulted to be at higher risk compared to natives. However, social environment conditions appear to be associated with psychosis rates. Previous studies [44Cantor-Graae E, Pedersen CB. Risk of schizophrenia in second-generation immigrants: A Danish population-based cohort study. Psychol Med 2007; 37(4): 485-94. [http://dx.doi.org/10.1017/S0033291706009652] [PMID: 17202000] ] did not find evidence for the presence of urbanicity effect among immigrants and researchers hypothesized that urbanicity and ethnic density may interact. Even if the research objectives and samples are partially different, in general, ethnic density appears to be a protective factor against psychosis rates among immigrants [9Schofield P, Thygesen M, Das-Munshi J, et al. Ethnic density, urbanicity and psychosis risk for migrant groups - A population cohort study. Schizophr Res 2017; 190: 82-7. [http://dx.doi.org/10.1016/j.schres.2017.03.032] [PMID: 28318842] , 10Schofield P, Thygesen M, Das-Munshi J, et al. Neighbourhood ethnic density and psychosis - Is there a difference according to generation? Schizophr Res 2018; 195: 501-5. [http://dx.doi.org/10.1016/j.schres.2017.09.029] [PMID: 28969931] ] and especially for the second generation of immigrants [10Schofield P, Thygesen M, Das-Munshi J, et al. Neighbourhood ethnic density and psychosis - Is there a difference according to generation? Schizophr Res 2018; 195: 501-5. [http://dx.doi.org/10.1016/j.schres.2017.09.029] [PMID: 28969931] ]. Moreover, the effect of ethnic density masked the effect of urbanicity on psychosis rates [9Schofield P, Thygesen M, Das-Munshi J, et al. Ethnic density, urbanicity and psychosis risk for migrant groups - A population cohort study. Schizophr Res 2017; 190: 82-7. [http://dx.doi.org/10.1016/j.schres.2017.03.032] [PMID: 28318842] ]. Thus, urbanicity may represent a risk which effect can be reduced by the support of their community. However, it must be noticed that risk factors for psychosis can be different between subgroups [10Schofield P, Thygesen M, Das-Munshi J, et al. Neighbourhood ethnic density and psychosis - Is there a difference according to generation? Schizophr Res 2018; 195: 501-5. [http://dx.doi.org/10.1016/j.schres.2017.09.029] [PMID: 28969931] ]. First generation immigrants have to face traumatic experiences in the country of origin and in relation to the journey and the process of migration while second-generation immigrants can be affected by socio-cultural barriers and isolation. Thus, the ethnic density can have different effects on different groups of immigrants. These results are relevant because these two studies are the first attempts to analyze this effect with large samples, by making comparisons between first and second generation immigrants and country of origin, and using a prospective population-based cohort study design. On the other hand, it must be noticed that both studies [10Schofield P, Thygesen M, Das-Munshi J, et al. Neighbourhood ethnic density and psychosis - Is there a difference according to generation? Schizophr Res 2018; 195: 501-5. [http://dx.doi.org/10.1016/j.schres.2017.09.029] [PMID: 28969931] , 11Markkula N, Lehti V, Gissler M, Suvisaari J. Incidence and prevalence of mental disorders among immigrants and native Finns: A register-based study. Soc Psychiatry Psychiatr Epidemiol 2017; 52(12): 1523-40. [http://dx.doi.org/10.1007/s00127-017-1432-7] [PMID: 28856385] ] took place in Denmark thus results may be influenced by local factors (e.g. policies). A study realized in Germany [16Bulla J, Rzodeczko F, Querengässer J, Hoffmann K, Ross T. Migrants in unlimited detention according to section 63 of the German penal code: Results from the German federal state of Baden-Württemberg. Int J Law Psychiatry 2018; 57: 1-8. [http://dx.doi.org/10.1016/j.ijlp.2017.12.003] [PMID: 29548495] ] focused on differences in social, clinical and criminological variables between immigrants from diverse countries who were referred to forensic psychiatric treatment. The major part of the immigrants from the Balkans, North Africa and the Middle East, and Sub-Saharan Africa suffered from psychotic disorders, while part of immigrants from southern Europe suffered from personality disorders or paraphilia. Results showed differences in the social characteristics of immigrants from Eastern Europe who reported the highest educational level. It appears that such rates of psychotic disorders are associated to the social defeat hypothesis [45Selten JP, Cantor-Graae E. Social defeat: Risk factor for schizophrenia? Br J Psychiatry 2005; 187: 101-2. [http://dx.doi.org/10.1192/bjp.187.2.101] [PMID: 16055818] ] that implies that prolonged experience of adverse social and living conditions, interacting with biological factors, may increase the risk to develop a psychotic disorder. Another study realized in Netherland aimed at analyzing differences in symptom expressions, cognitive and psychosocial functioning between natives and first and second generation immigrants presenting a First Episode Psychosis (FEP) and the outcome at 12 months follow-up [15Stouten LH, Veling W, Laan W, Van der Gaag M. Psychopathology, cognition and outcome in Dutch and immigrant first-episode psychosis patients. Early Interv Psychiatry 2018. [http://dx.doi.org/10.1111/eip.12561] [PMID: 29603625] ]. This is probably the first attempt to study the entire range of FEP symptoms expression and the related outcomes and to compare them between natives and immigrants. First generation immigrants reported the higher deficit in neurobiological and social cognition performance compared to others at baseline, while natives showed lower levels of negative symptoms compared to others at follow-up. Moreover, all the subgroups showed improvement in symptoms remission, except for negative ones. the main predictors of functional and symptomatic outcomes were psychosocial functioning and annual income together with other baseline characteristics and symptoms manifestation while being an immigrant was not among them. First-generation immigrants report higher rates of depression compared to natives in Europe [46Levecque K, Van Rossem R. Depression in Europe: Does migrant integration have mental health payoffs? A cross-national comparison of 20 European countries. Ethn Health 2015; 20(1): 49-65. [http://dx.doi.org/10.1080/13557858.2014.883369] [PMID: 24517205] ]. A study in Luxembourg [17Ruiz-Castell M, Kandala NB, Perquin M, et al. Depression burden in luxembourg: Individual risk factors, geographic variations and the role of migration, 2013-2015 European Health Examination Survey. J Affect Disord 2017; 222: 41-8. [http://dx.doi.org/10.1016/j.jad.2017.06.056] [PMID: 28668715] ] confirmed these results and showed that social support can act as a protective factor. Specifically, second-generation immigrants have the highest probability to develop depression, followed by first-generation immigrants and non-immigrants. Researchers suggest that these differences may be due to difficulties related to the integration of two different cultures that second-generation immigrants could face. In fact, difficulties in integration and perceived discrimination are risk factors related to depression [46Levecque K, Van Rossem R. Depression in Europe: Does migrant integration have mental health payoffs? A cross-national comparison of 20 European countries. Ethn Health 2015; 20(1): 49-65. [http://dx.doi.org/10.1080/13557858.2014.883369] [PMID: 24517205] ]. Occupational social capital, the structure of contacts held by people in relation to different occupations, is another factor associated with depressive symptoms [21Miething A, Rostila M, Rydgren J. Access to occupational networks and ethnic variation of depressive symptoms in young adults in Sweden. Soc Sci Med 2017; 190: 207-16. [http://dx.doi.org/10.1016/j.socscimed.2017.08.022] [PMID: 28866474] ]. A large network of occupational contacts enhances the opportunities to obtain high-status occupations [47Lin N. Inequality in social capital. Contemp Sociol 2000; 29(6): 785-95. [http://dx.doi.org/10.2307/2654086] ] and this is related to better mental health outcomes [48Lin N, Dumin M. Access to occupations through social ties. Soc Networks 1986; 8(4): 365-85. [http://dx.doi.org/10.1016/0378-8733(86)90003-1] , 49Song L, Lin N. Social capital and health inequality: Evidence from Taiwan. J Health Soc Behav 2009; 50(2): 149-63. [http://dx.doi.org/10.1177/002214650905000203] [PMID: 19537457] ]. The reviewed study [21Miething A, Rostila M, Rydgren J. Access to occupational networks and ethnic variation of depressive symptoms in young adults in Sweden. Soc Sci Med 2017; 190: 207-16. [http://dx.doi.org/10.1016/j.socscimed.2017.08.022] [PMID: 28866474] ] took place in Switzerland and focused on persons with Swedish or foreign (Iran and former Yugoslavia) born parents. First of all, people with Iranian-born parents reported higher levels of depressive symptoms compared to others and the occupational social capital partially explain the ethnic variation in depressive symptoms. People with an Iranian background showed notable variations in the prevalence of depressive symptoms by occupational social capital. Extensive access to manual occupations disclosed a marked increase in depression in women of Iranian descent. Status concerns and aspirations for high-status occupations appear to explain the increased prevalence of depressive symptoms in subjects with an Iranian background. Thus, perceived ethnic identity and subsequent career ambitions and prospects, rather than ethnic characteristics alone, appear to determine the propensity for depression in young adults of Iranian descent. Access to prestigious occupational contacts is proposed to serve as a buffering mechanism that may reduce the ethnic differences in depression. Pre-migration and post-migration conditions can represent risk and protective factors. The association between post-migration stress and depression is confirmed in a study realized in Sweden in which the authors found also evidence that post-migration stress together with traumatic life events is associated with PTSD [20Steel JL, Dunlavy AC, Harding CE, Theorell T. The psychological consequences of pre-emigration trauma and post-migration stress in refugees and immigrants from Africa. J Immigr Minor Health 2017; 19(3): 523-32. [http://dx.doi.org/10.1007/s10903-016-0478-z] [PMID: 27562386] ]. One of the reviewed study focused on immigration path and transnational ties as risk factors for mental health among sub-Saharan immigrants in France, with some differences due to gender [12Pannetier J, Lert F, Jauffret Roustide M, du Loû AD. Mental health of sub-saharan african migrants: The gendered role of migration paths and transnational ties. SSM Popul Health 2017; 3: 549-57. [http://dx.doi.org/10.1016/j.ssmph.2017.06.003] [PMID: 29349245] ]. The characteristics of migration paths covered pre-migration threatening experiences and the legal status in the hosting country and authors considered them as factors that can affect immigrant mental health. Similarly, international ties can have an effect on mental health. On the one hand, separation from the family and the moral obligation to take care of family members remained in the country of origin can be a stressor. On the other hand, perceiving support from the family can be a protective factor. Within the context of the characteristics of immigration paths, results [12Pannetier J, Lert F, Jauffret Roustide M, du Loû AD. Mental health of sub-saharan african migrants: The gendered role of migration paths and transnational ties. SSM Popul Health 2017; 3: 549-57. 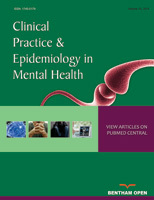 [http://dx.doi.org/10.1016/j.ssmph.2017.06.003] [PMID: 29349245] ] show that women’s mental health is affected by the experience of threat in the country of origin while men’s mental health is affected by having an illegal status in the hosting country. Conversely, the separation from a child was not associated with mental health, while having support from family and friend appears to be a protective factor in both men and women [12Pannetier J, Lert F, Jauffret Roustide M, du Loû AD. Mental health of sub-saharan african migrants: The gendered role of migration paths and transnational ties. SSM Popul Health 2017; 3: 549-57. [http://dx.doi.org/10.1016/j.ssmph.2017.06.003] [PMID: 29349245] ]. This information contributes to a deeper comprehension of the impact that certain political decisions and the social context can have on immigrants mental health. In fact, policy models influence depression rates among immigrants. Immigrants in a country with exclusionist policies show higher rates of depression compared to non- immigrants and compared to the country with inclusive and assimilationist policies [23Malmusi D, Palència L, Ikram UZ, Kunst AE, Borrell C. Inequalities by immigrant status in depressive symptoms in Europe: The role of integration policy regimes. Soc Psychiatry Psychiatr Epidemiol 2017; 52(4): 391-8. [PMID: 28194503] ]. Finally, we individuated a study focused on Post Traumatic Stress (PTS), depression and explosive anger symptoms among torture survivors [22Le L, Morina N, Schnyder U, Schick M, Bryant RA, Nickerson A. The effects of perceived torture controllability on symptom severity of posttraumatic stress, depression and anger in refugees and asylum seekers: A path analysis. Psychiatry Res 2018; 264: 143-50. [http://dx.doi.org/10.1016/j.psychres.2018.03.055] [PMID: 29631246] ]. The study showed that perceived controllability and emotion of anger and fear experienced during torture are associated with a more severe symptomatology among a group of refugees and asylum seekers from Turkey and Iran. Authors showed that fear mediates the relation between PTS and depressive symptoms and perceived controllability of the event, while anger mediates the relation between explosive anger symptoms and controllability of torture. Thus, emotions and the perception of lack of control experienced during torture are important factors on which the attention of mental health professionals should focus. Studies focused on somatization and symptoms presentation represent an important contribution to the understanding of psychopathology among immigrants. Immigrants from Turkey [13Morawa E, Dragano N, Jöckel KH, Moebus S, Brand T, Erim Y. Somatization among persons with Turkish origin: Results of the pretest of the German National Cohort Study. J Psychosom Res 2017; 96: 1-9. [http://dx.doi.org/10.1016/j.jpsychores.2017.02.014] [PMID: 28545785] ] and Vietnam [14Dreher A, Hahn E, Diefenbacher A, et al. Cultural differences in symptom representation for depression and somatization measured by the PHQ between Vietnamese and German psychiatric outpatients. J Psychosom Res 2017; 102: 71-7. [http://dx.doi.org/10.1016/j.jpsychores.2017.09.010] [PMID: 28992900] ] show symptoms presentation that differ from those of Germans and the variations can be due to differences in cultural expression of mental disorders. Turkish and Vietnamese immigrants reported higher levels of somatization compared to Germans [13Morawa E, Dragano N, Jöckel KH, Moebus S, Brand T, Erim Y. Somatization among persons with Turkish origin: Results of the pretest of the German National Cohort Study. J Psychosom Res 2017; 96: 1-9. [http://dx.doi.org/10.1016/j.jpsychores.2017.02.014] [PMID: 28545785] , 14Dreher A, Hahn E, Diefenbacher A, et al. Cultural differences in symptom representation for depression and somatization measured by the PHQ between Vietnamese and German psychiatric outpatients. J Psychosom Res 2017; 102: 71-7. [http://dx.doi.org/10.1016/j.jpsychores.2017.09.010] [PMID: 28992900] ]. Women and first-generation immigrants from Turkey reported the highest level of somatization and those with the highest level of somatization also showed high levels of depression [13Morawa E, Dragano N, Jöckel KH, Moebus S, Brand T, Erim Y. Somatization among persons with Turkish origin: Results of the pretest of the German National Cohort Study. J Psychosom Res 2017; 96: 1-9. [http://dx.doi.org/10.1016/j.jpsychores.2017.02.014] [PMID: 28545785] ]. On the other hand, Vietnamese immigrants reported higher physical symptoms and panic-related symptoms while there were no differences in depression [14Dreher A, Hahn E, Diefenbacher A, et al. Cultural differences in symptom representation for depression and somatization measured by the PHQ between Vietnamese and German psychiatric outpatients. J Psychosom Res 2017; 102: 71-7. [http://dx.doi.org/10.1016/j.jpsychores.2017.09.010] [PMID: 28992900] ]. This symptoms presentation is in line with the cultural manifestation of psychopathology [50Zhou X, Min S, Sun J, et al. Extending a structural model of somatization to South Koreans: Cultural values, somatization tendency, and the presentation of depressive symptoms. J Affect Disord 2015; 176: 151-4. [http://dx.doi.org/10.1016/j.jad.2015.01.040] [PMID: 25721611] ]. The differences in somatization rates between Turkey immigrants and Germans can be due to different factors. Turkey immigrants faced migration and acculturation processes that are stressful and they live worse socio-economic condition [51Aragona M, Pucci D, Carrer S, et al. The role of post-migration living difficulties on somatization among first-generation immigrants visited in a primary care service. Ann Ist Super Sanita 2011; 47(2): 207-13. [PMID: 21709391] ]. Moreover, Turkey immigrants could fear the stigma of mental illness and tend to express their emotional difficulties through somatization [52Beirens K, Fontaine JR. Somatic complaint differences between Turkish immigrants and Belgians: Do all roads lead to Rome? Ethn Health 2011; 16(2): 73-88. [http://dx.doi.org/10.1080/13557858.2010.529113] [PMID: 21170770] ]. The information resulting from these studies are important because they contribute to understand these symptom presentations and consent to approach properly patients difficulties. Research on suicide risk among immigrants has not yielded conclusive results. Some studies suggest that immigrants are at greater risk than natives [53Mirsky J, Kohn R, Dolberg P, Levav I. Suicidal behavior among immigrants. Soc Psychiatry Psychiatr Epidemiol 2011; 46(11): 1133-41. [http://dx.doi.org/10.1007/s00127-010-0280-5] [PMID: 20820755] ], while other studies suggest the opposite [54Singh GK, Hiatt RA. Trends and disparities in socioeconomic and behavioural characteristics, life expectancy, and cause-specific mortality of native-born and foreign-born populations in the United States, 1979-2003. Int J Epidemiol 2006; 35(4): 903-19. [http://dx.doi.org/10.1093/ije/dyl089] [PMID: 16709619] ]. We individuated two recent studies focused on suicide risk among immigrant compared to natives [18Puzo Q, Mehlum L, Qin P. Suicide among immigrant population in Norway: A national register-based study. Acta Psychiatr Scand 2017; 135(6): 584-92. [http://dx.doi.org/10.1111/acps.12732] [PMID: 28387419] , 19Puzo Q, Mehlum L, Qin P. Socio-economic status and risk for suicide by immigration background in Norway: A register-based national study. J Psychiatr Res 2018; 100: 99-106. [http://dx.doi.org/10.1016/j.jpsychires.2018.02.019] [PMID: 29501935] ]. First and second generation immigrants are at lower risk of suicide compared to Norwegians [18Puzo Q, Mehlum L, Qin P. Suicide among immigrant population in Norway: A national register-based study. Acta Psychiatr Scand 2017; 135(6): 584-92. [http://dx.doi.org/10.1111/acps.12732] [PMID: 28387419] ]. However, the authors analyzed suicide rates in detail and they noticed that Norwegian-born people with a foreign-born parent and foreign-born people with one Norwegian-born parent were at higher risk of suicide compared to Norwegian. Specifically, the latter were at higher risk of suicide compared to Norwegian if the country of origin were Asia or Central or South America. The lower risk for suicide among first and second generation immigrants compared to natives falls inside the phenomenon defined “healthy immigrant effect” [55Kennedy S, Kidd MP, McDonald JT, Biddle N. The healthy immigrant effect: Patterns and evidence from four countries. J Int Migr Integr 2015; 16(2): 317-32. [http://dx.doi.org/10.1007/s12134-014-0340-x] ]. In some cases, immigrants show better health compared to natives. In the case of the research realized in Norway [18Puzo Q, Mehlum L, Qin P. Suicide among immigrant population in Norway: A national register-based study. Acta Psychiatr Scand 2017; 135(6): 584-92. [http://dx.doi.org/10.1111/acps.12732] [PMID: 28387419] ], it is hypothesized that these results are due to the fact that first generation immigrants are those with better mental health in their country of origin or that they experience an improvement in the quality of life once they arrive in the hosting country. There are some social risk factors that have an impact on suicide rates among immigrants in Europe. Socio-economic variables as marital status, educational level, annual income and place of residence (in the capital area or not) have a different influence on immigrants and natives in Norway [19Puzo Q, Mehlum L, Qin P. Socio-economic status and risk for suicide by immigration background in Norway: A register-based national study. J Psychiatr Res 2018; 100: 99-106. [http://dx.doi.org/10.1016/j.jpsychires.2018.02.019] [PMID: 29501935] ]. For example, being single contributes to raising the risk for suicide more among Norwegian than among immigrants while being married lowers the risk for suicide among foreign-born with a Norwegian-born parent. A low educational level is a risk factor for all the subgroups involved in the study except for second-generation immigrants. Low annual income is related to higher risk for suicide among all the subgroups with first-generation immigrants being the least affected subgroup. Finally, living in the capital area contributes to raise the risk for suicide among Norwegian and to lower it among first-generation immigrants. Authors explain the fact that being single is not a risk factor for immigrants because the major part of them are young and not being married is not a matter of concern. Differently, being married can act as a protective factor for foreign-born with a Norwegian born parent because it can imply greater social support and integration. The educational level is related to skills and competencies and the possibilities to find a job, thus this variable affects immigrants and non-immigrants in a similar way. First generation immigrants are those less affected by low annual income. This could be due to the fact that, compared to the country of origin, their financial situation has improved in the hosting country. Finally, living in the capital area can be a protective factor for immigrants because they can have a higher possibility to find social support from other immigrants. As reported in a recent review addressing studies mainly conducted in European countries [8Sarría-Santamera A, Hijas-Gómez AI, Carmona R, Gimeno-Feliú LA. A systematic review of the use of health services by immigrants and native populations. Public Health Rev 2016; 37: 28. [http://dx.doi.org/10.1186/s40985-016-0042-3] [PMID: 29450069] ], immigrants tend to show a lower degree of health care utilization than native populations. Specifically, despite the relevant proneness to mental health problems associated with migration and adaptation to the host country, the study revealed migrants' lower use of mental health services and only occasional higher use of emergency care due to several types of barriers that hinder the access to health services. Across European countries, migrants' tendency to poorly refer to mental health service has been recently confirmed by the results of a Norwegian study showing that specialist mental health care in Norway is still underused by a large proportion of the immigrant population, especially in the case of youth, and labor immigrants [56Abebe DS, Lien L, Elstad JI. Immigrants’ utilization of specialist mental healthcare according to age, country of origin, and migration history: A nation-wide register study in Norway. Soc Psychiatry Psychiatr Epidemiol 2017; 52(6): 679-87. [http://dx.doi.org/10.1007/s00127-017-1381-1] [PMID: 28378064] ]. These findings are easily understood in light of a number of well-recognized barriers that hinder the access and adherence to healthcare provision [57Bradby H, Humphris R, Newall D, Phillimore J. Public health aspects of migrant health: A review of the evidence on health status for refugees and asylum seekers in the European region 2015.Available from: http:// www.ncbi. nlm.nih. gov/ books/ NBK379418/-59Hacker K, Anies M, Folb BL, Zallman L. Barriers to health care for undocumented immigrants: A literature review. Risk Manag Healthc Policy 2015; 8: 175-83. [http://dx.doi.org/10.2147/RMHP.S70173] [PMID: 26586971] ]. With specific regard to mental health care, a lack of or poor mastery of the host country language, culturally determined beliefs on mental illness, and different expectations toward health care professionals may interfere even more with the diagnostic process and provision of treatment [60Priebe S, Giacco D, El-Nagib R. Public health aspects of mental health among migrants and refugees: A review of the evidence on mental health care for refugees, asylum seekers and irregular migrants in the WHO European region 2015.Available from: https://www.ncbi.nlm.nih.gov/pubmedhealth/PMH0096089/]. Taking into careful account immigrants’ special needs, the European Psychiatric Association (EPA) has already pointed out several basic requirements for mental health services which include, among others, the provision of culturally sensitive care and interpreting in mainstream or separate services [61Bhugra D, Gupta S, Schouler-Ocak M, et al. EPA guidance mental health care of migrants. Eur Psychiatry 2014; 29(2): 107-15. [http://dx.doi.org/10.1016/j.eurpsy.2014.01.003] [PMID: 24503244] , 62Gaebel W, Großimlinghaus I, Heun R, et al. European Psychiatric Association (EPA) guidance on quality assurance in mental healthcare. Eur Psychiatry 2015; 30(3): 360-87. [http://dx.doi.org/10.1016/j.eurpsy.2015.01.011] [PMID: 25725593] ]. An additional EPA guidance [63Schouler-Ocak M, Graef-Calliess IT, Tarricone I, Qureshi A, Kastrup MC, Bhugra D. EPA guidance on cultural competence training. Eur Psychiatry 2015; 30(3): 431-40. [http://dx.doi.org/10.1016/j.eurpsy.2015.01.012] [PMID: 25725596] ] has been developed in order to explicitly state the need for a mandatory cultural competency training defined as a tailored response to immigrants' mental health care needs requiring mandatory knowledge, skills, and attitudes to increase outcomes of psychiatric care. Moreover, interpreters' availability and their use within a well-defined theoretical framework may be crucial in order to ensure quality service by reducing the risk for inaccurate diagnoses, non-engagement or early drop-out, and patients' dissatisfaction [61Bhugra D, Gupta S, Schouler-Ocak M, et al. EPA guidance mental health care of migrants. Eur Psychiatry 2014; 29(2): 107-15. [http://dx.doi.org/10.1016/j.eurpsy.2014.01.003] [PMID: 24503244] ]. With specific regard to the use of interpreting services, the work by Bauer and Alegria in 2010 [64Bauer AM, Alegría M. Impact of patient language proficiency and interpreter service use on the quality of psychiatric care: A systematic review. Psychiatr Serv 2010; 61(8): 765-73. [http://dx.doi.org/10.1176/ps.2010.61.8.765] [PMID: 20675834] ] reviewed empirical studies (also including European experiences) focusing on the evaluation of the consequences of host country language proficiency among patients and availability of interpreting services on psychiatric diagnosis, treatment provision, and on quality of patient-provider interaction. Overall, the use of professional interpreters may improve patients' disposition to self-disclosure and referral to psychiatric service while enhancing their satisfaction with care. Until then, however, only a few empirical studies had addressed the effect of levels of host country language knowledge and interpreting services on the quality of psychiatric care. It should also be considered that the availability and use of different types of interpreting services (direct, telephone-mediated, and mixed) across European countries resulted to be generally low in primary and mental health care services, with relevant differences between countries in the availability and use of the different types of interpreting services [65Kluge U, Bogic M, Devillé W, et al. Health services and the treatment of immigrants: Data on service use, interpreting services and immigrant staff members in services across Europe. Eur Psychiatry 2012; 27(Suppl. 2): S56-62. [http://dx.doi.org/10.1016/S0924-9338(12)75709-7] [PMID: 22863252] ]. However, recent efforts have been done in the direction of the empirical assessment of the use of interpreters and cross-cultural training among European mental health services. For example, the work by Leanza et al. in 2015 [66Leanza Y, Boivin I, Moro MR, et al. Integration of interpreters in mental health interventions with children and adolescents: The need for a framework. Transcult Psychiatry 2015; 52(3): 353-75. [http://dx.doi.org/10.1177/1363461514558137] [PMID: 25501490] ] provides a qualitative analysis of interpreters and clinicians’ perspectives on factors involved in the development of the working alliance between interpreters and clinicians, and the definition of interpreters’ purposes and functions in two French and Canadian clinics. Even if the study originally aimed to evaluate the integration of interpreters in mental health care specifically dedicated to minors with an immigrant background, the Authors generalized their findings to overall mental health care provision. In interpreters and clinicians’ experiences, effective collaboration between interpreters and clinicians implied trust, respect, and mutual recognition of each one’s role. Training for both interpreters and clinicians, a longer service experience together with a well-defined theoretical framework helped stakeholders to recognize and appreciate the multifaceted role of interpreters as cultural informants, mediators, and even co-therapists. Interpreters and clinicians also appraised the positive effect of interpreting the therapeutic process and patients’ satisfaction with the treatment. Another study [67Bäärnhielm S, Edlund AS, Ioannou M, Dahlin M. Approaching the vulnerability of refugees: Evaluation of cross-cultural psychiatric training of staff in mental health care and refugee reception in Sweden. BMC Med Educ 2014; 14: 207. [http://dx.doi.org/10.1186/1472-6920-14-207] [PMID: 25262446] ] evaluated the effect of cross-cultural psychiatric training on mental health care providers and refugee reception in Sweden. After the training, clinicians reported a relevant reduction in the negative consequences of lack of knowledge with regard to the asylum-seeking process and several health-related issues on their clinical experience. Moreover, participants reported an enhanced ability to empathize with the experience of refugees suffering from mental distress disregarding the relevance of communication barriers. On the other hand, cross-cultural training exerted no effect on poor collaboration and structural barriers involving the interaction between the different health organizations. The results from both these studies are noteworthy when considering that language barriers have been reported to be a major concern among clinicians in European primary care and mental health [68Dauvrin M, Lorant V, Sandhu S, et al. Health care for irregular migrants: pragmatism across Europe: A qualitative study. BMC Res Notes 2012; 5: 99. [http://dx.doi.org/10.1186/1756-0500-5-99] [PMID: 22340424] ]. Finally, contributions from several European countries in systematically adapting their models of mental health care provision to immigrant population have to be mentioned. German, Norwegian, and Swedish mental health care models have been developing taking into consideration the provision of culturally and linguistically specialized intervention programs, including staff members with an immigration background, and providing additional cross-cultural training to health professionals [69Bäärnhielm S, Jávo C, Mösko MO. Opening up mental health service delivery to cultural diversity: Current situation, development and examples from three northern European countries. Adv Psychosom Med 2013; 33: 40-55. [http://dx.doi.org/10.1159/000348730] [PMID: 23816862] ]. Moreover, the work by Sturm et al. in 2017 [70Sturm G, Bonnet S, Coussot Y, Journot K, Raynaud JP. Cultural sensitive care provision in a public child and adolescent mental health centre: A case study from the Toulouse university hospital intercultural consultation. Cult Med Psychiatry 2017; 41(4): 630-55. [http://dx.doi.org/10.1007/s11013-017-9538-7] [PMID: 28466116] ] describes the implementation of a French culturally-sensitive service for child and adolescent mental health care. The presented Intercultural Consultation Service (ICS) mainly provides short-term therapeutic interventions to children and families with migration background. The service also aims to increase mental health professionals’ intercultural competencies through shared team discussions of individual cases. Despite the recognition of services limitations in the above-mentioned experiences, such models of mental care provision represent noteworthy efforts to ensure high-quality clinical interventions that take into strong consideration immigrants specific needs for mental care. On the other hand, other European countries seem to suffer from the lack of tailored funding; for example, in the Italian health care system, interpreters are generally lacking in clinical settings and clinicians mainly use interpretation services provided by phone, with the exception of few clinics specifically built to serve some segments of immigrant population [71Carney MA. “Sharing One’s Destiny”: Effects of austerity on migrant health provisioning in the Mediterranean borderlands. Soc Sci Med 2017; 187: 251-8. [http://dx.doi.org/10.1016/j.socscimed.2017.02.041] [PMID: 28274600] ]. The mental health conditions of immigrants deserve well-informed attention given the extent of migration flows and the fact that immigrants report lower rates of mental health services utilization compared to natives. The most recent information about the mental health of immigrants shows that they report higher rates of depression and somatization disorder compared to natives, while results are not univocal about suicide risk. In fact, it appears that in some cases, immigrants are at lower risk than native people. Moreover, many studies focused on risk factors related to mental health among immigrants, and especially on social ones. Ethnic density, for example, can be a protective factor against psychosis. However, it must be noticed that most of this information comes from studies realized in North Europe and reflects the mental health status of immigrants coming from a strict number of countries. Thus, results can not be extended to the entire immigrant population but they have to be read by taking into account these limitations. It should also be noticed that the expression of psychopathology is related to factors as immigrant status (e.g. asylum seekers, refugees), motivation to migration, and traumatic events. One of the barriers encountered by immigrants is represented by language. Moreover, the nosographic categories used in the reviewed studies are those of the occidental cultures and this may limit the comprehension of immigrants disorders and the intervention efficacy. The enrichment of healthcare settings with interpreters and mediators have a positive impact on the efficacy of the service provided. Unfortunately, mediation services are often offered as external services managed by private organizations, which therefore are not fully integrated into the public service network. Policy makers and mental health professionals have to take into account these aspects when approaching immigrants needs. This paper is part of the PROG-289 project “SILVER-Soluzioni Innovative per la Vulnerabilità E il Reinserimento sociale dei migranti” and supported by the grant “FAMI - Fondo Asilo, Migrazione e Integrazione 2014-2020- Obiettivo Specifico 1. Asilo e Obiettivo Nazionale 1. Accoglienza/Asilo - lett. c) Potenziamento del sistema di 1° e 2° accoglienza”. Isabella Giammusso, Filippo Casadei, Nicolay Catania, Elena Foddai, Maria Chiara Monti, Giorgia Savoja acknowledge the following source of funding: FAMI (Fondo Asilo, Migrazione e Integrazione 2014-2020) - Obiettivo Specifico 1. Asilo e Obiettivo Nazionale 1. Accoglienza/Asilo - lett. c) Potenziamento del sistema di 1° e 2° accoglienza. Carta M, Bernal M, Hardoy MC, Haro-Abad JM. Migration and mental health in Europe (The state of the mental health in Europe working group: Appendix 1). Clin Pract Epidemiol Ment Health 2005. Aug; 31;1:13. The ICD-10 classification of mental and behavioral disorders Clinical descriptions and diagnostic guidelines 1992. Löwe B, Wahl I, Rose M, et al. A 4-item measure of depression and anxiety: validation and standardization of the Patient Health Questionnaire-4 (PHQ-4) in the general population. J Affect Disord 2010; 122(1-2): 86-95. World Health Organization. Manual of the International Classification of Diseases (ICD-8) 1967. Manual of the international statistical classification of diseases, injuries, and causes of death, ninth revision 1977. Mollica R, Caspi-Yavin Y, Bollini P, Truong T, Tor S, Lavelle J. Harvard Trauma Questionnaire: Brief summary of its development, statistical properties, use, and scoring. Goldfeld N, Pine M, Pine J, editors Measuring and managing health care quality: procedures, techniques, and protocols, vol 1 Gaithersburgh: Aspen Publishers 1996; 523-32.